Our work with the right shoe has been completed. 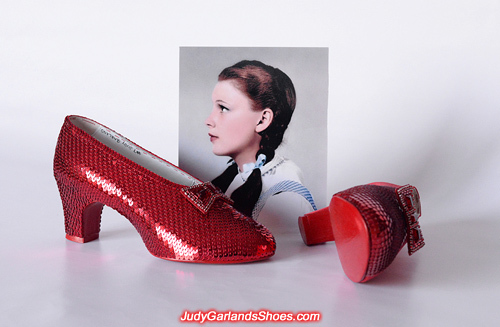 Just can't believe how beautiful Judy Garland was, as Dorothy, in The Wizard of Oz. 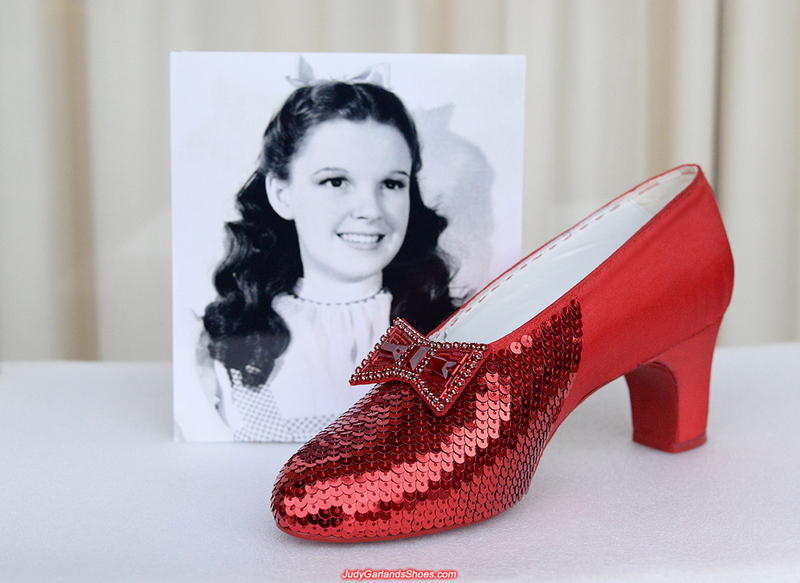 It's fitting that she wore the most beautiful pair of shoes in movie history. 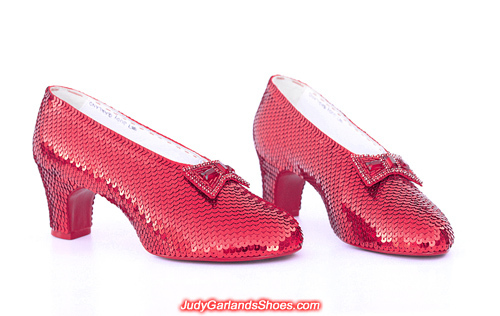 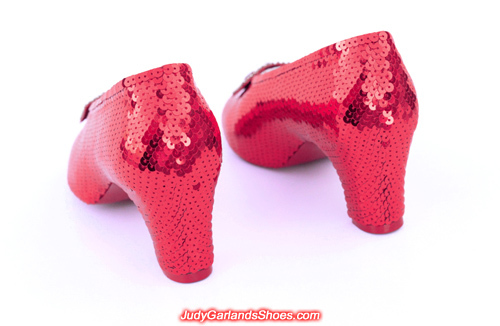 This stunning pair of ruby slippers in Judy Garland's size 5B is looking outstanding as sequining continues on the left shoe. 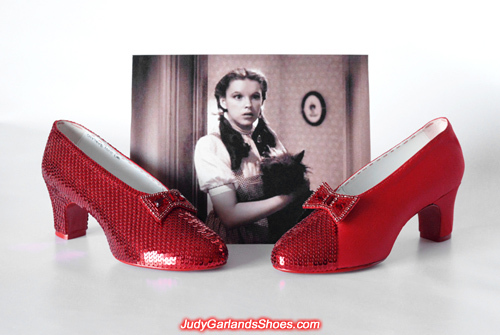 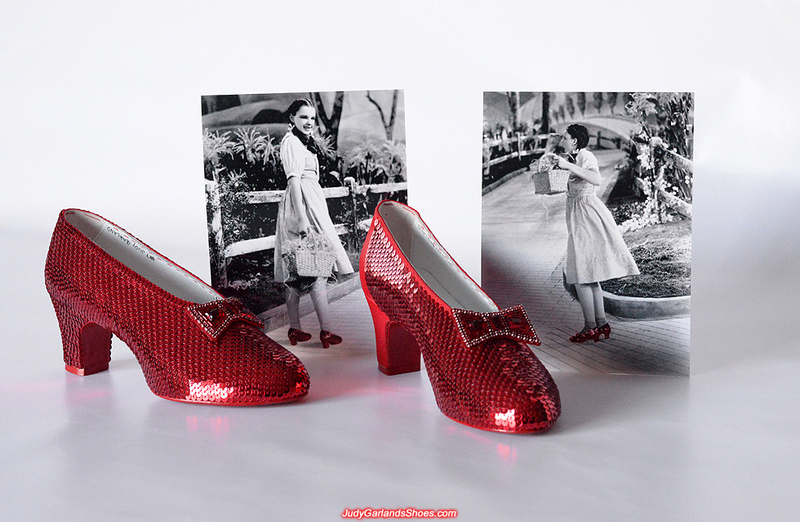 Judy Garland as Dorothy had nice legs and therefore Adrian, the costume designer for MGM, decided to include heels for her ruby slippers so she looks stylish and pretty. The long, hard grind continues with crafting the Rolls-Royce of ruby slippers. 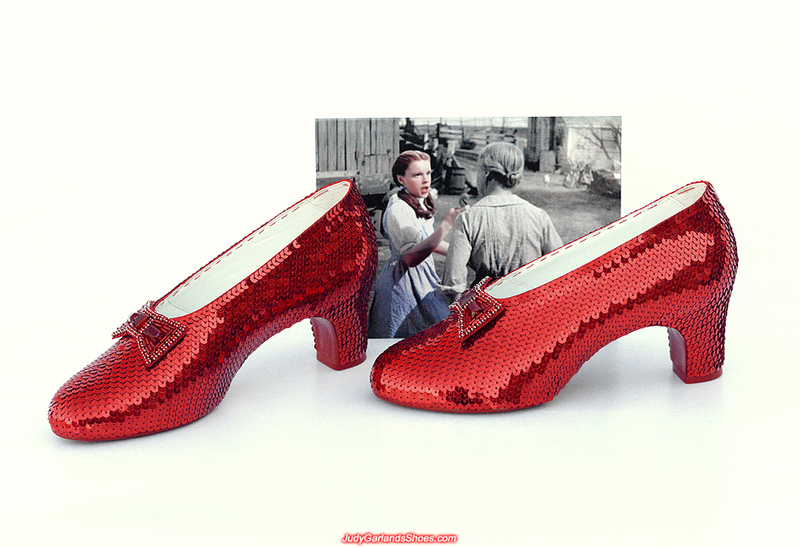 The ruby slippers is finished! the bright lights of Hollywood. Your hands and fingers deserve a day at the spa! Thank you very much. 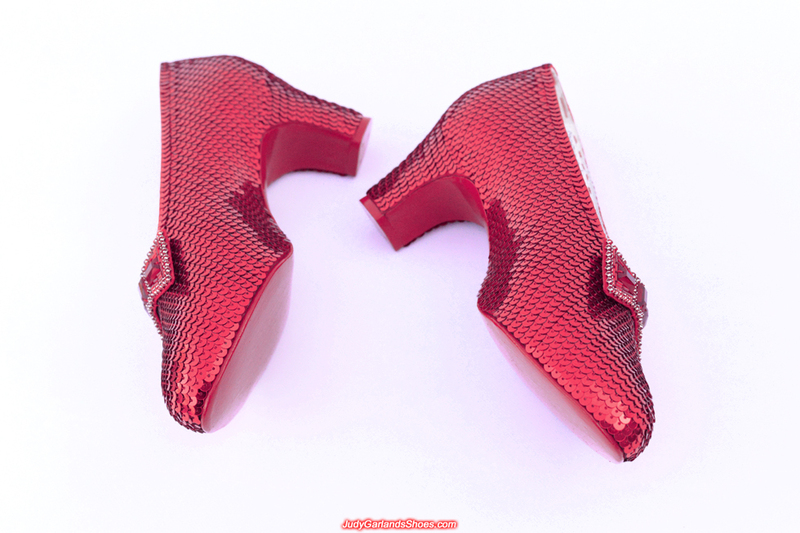 I still have a lot of orders to work on, so there's no time to relax the fingers just yet. 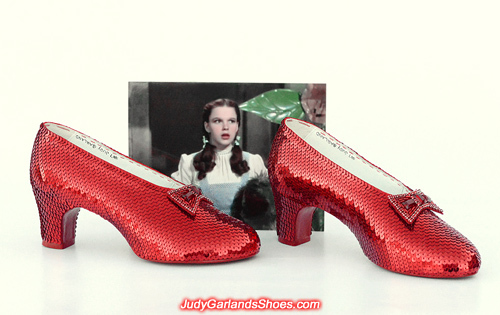 Next up is a pair of ruby slippers for a very nice Catholic Priest, who has been a fan of The Wizard of Oz since he was 10 years old. 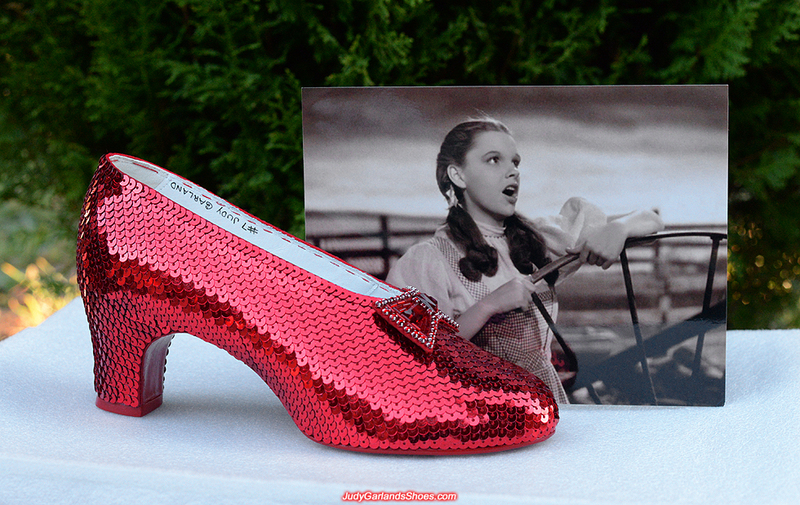 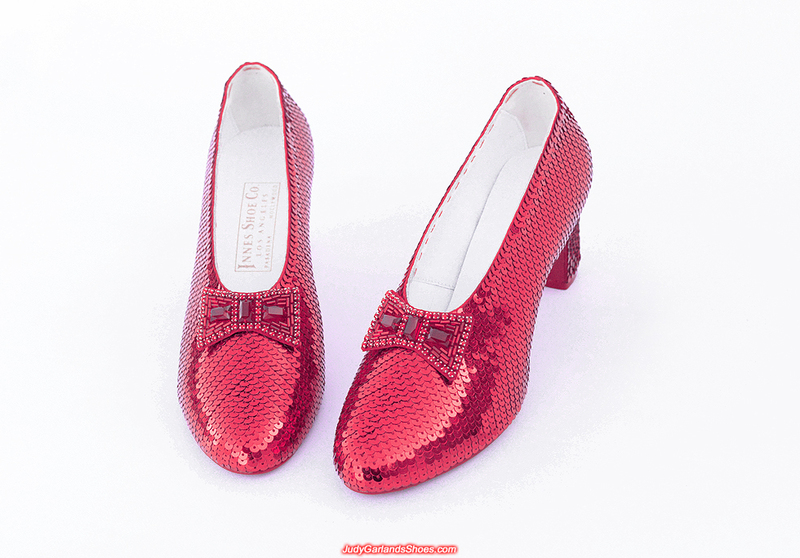 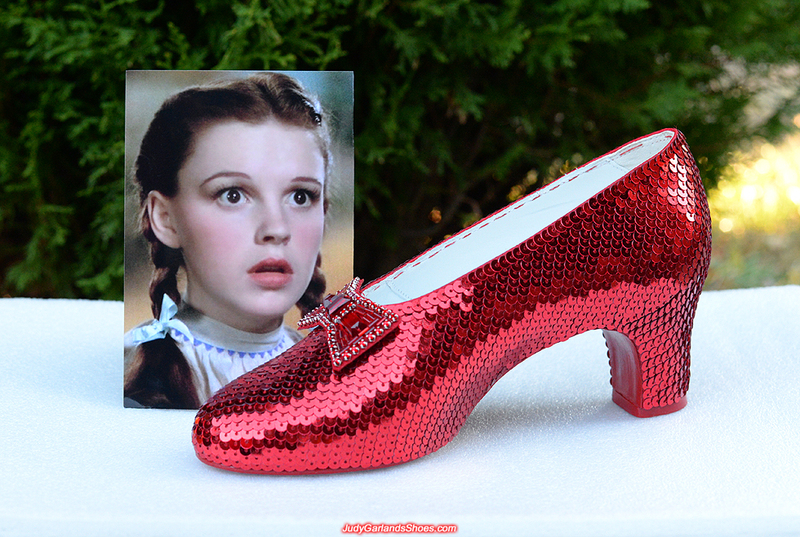 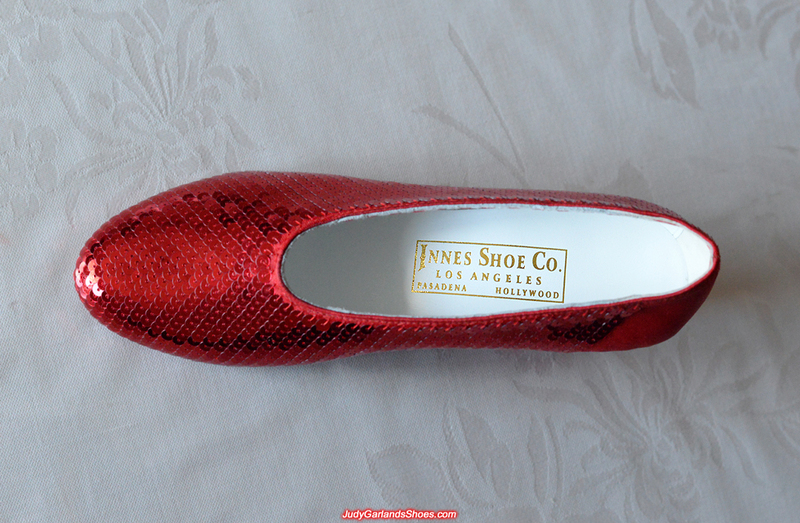 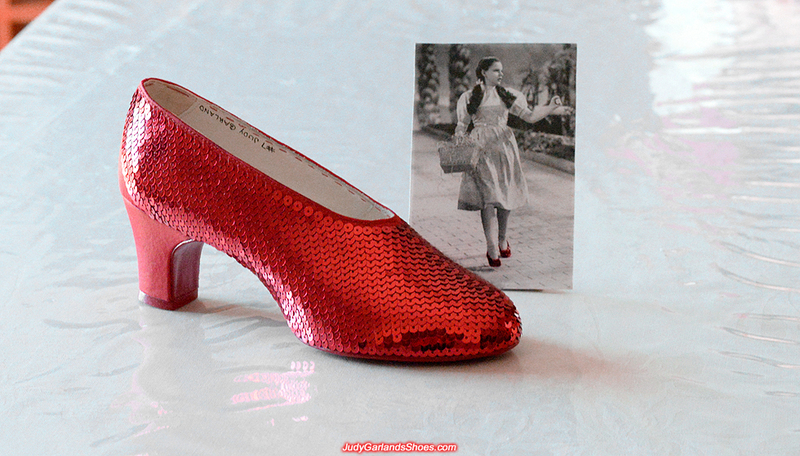 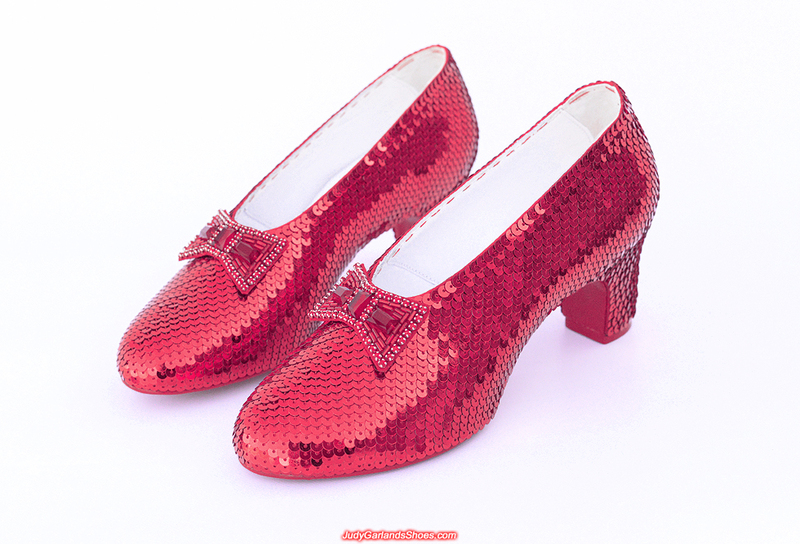 The final photos of this beautiful pair of ruby slippers will be posted in the coming days. 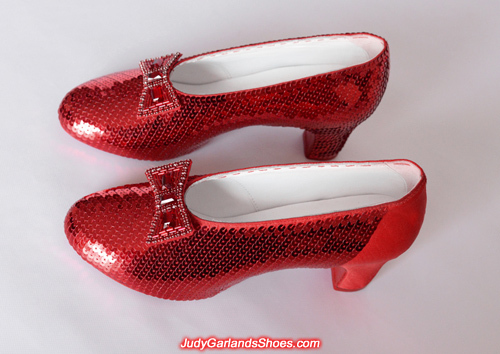 The new owner will be ecstatic with this pair because they are very high quality and beautifully crafted to perfection. Our work with this stunning pair of ruby slippers wraps up with some incredible photos below. 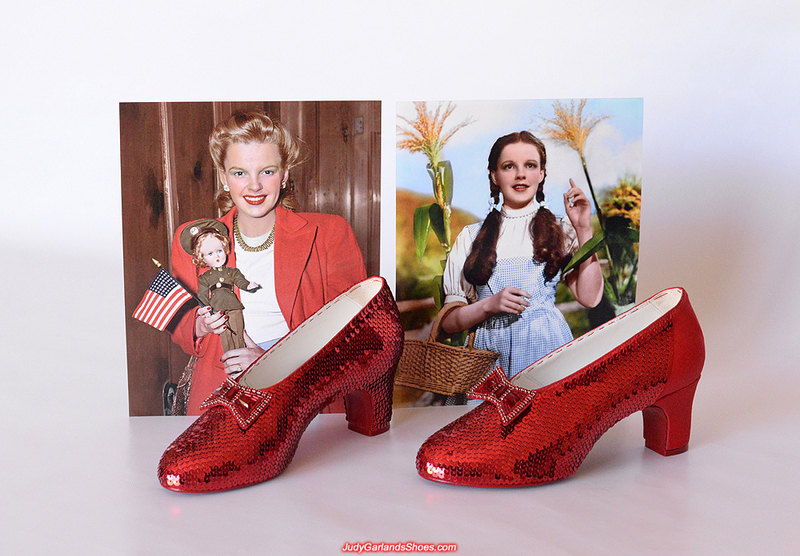 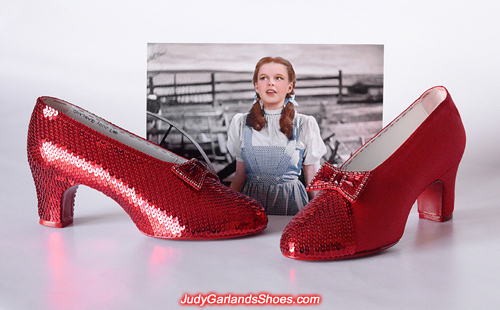 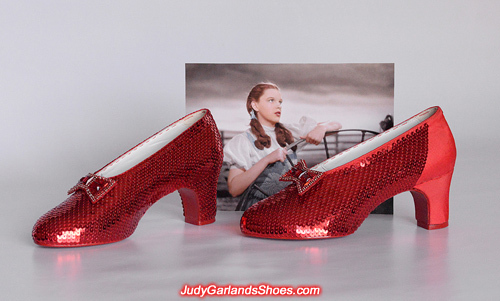 We hope the magic of the ruby slippers and Judy Garland's presence brings wealth and prosperity to the new owner.